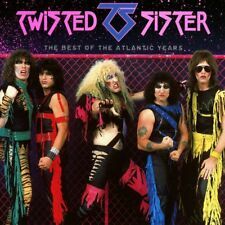 TWISTED SISTER. THE BEST OF THE ATLANTIC YEARS. 19 REMASTERED HITS. The Kids Are Back. The Fire Still Burns. We're Not Gonna Take It. You Can't Stop Rock 'N' Roll. Burn In Hell. 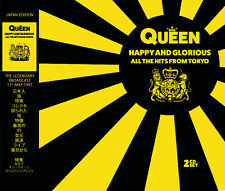 QUEEN - HAPPY AND GLORIOUS: ALL THE HITS FROM TOKYO. Killer Queen. God Save The Queen. NEW DOUBLE CD SET. I Want To Break Free. Jailhouse Rock. We Will Rock You. It's A Hard Life. CD on Atco records, remastered. Very good condition. YES Self Titled CD (1969) Album Atlantic Remastered . Condition is Like New. Dispatched with Royal Mail 2nd Class Letter. 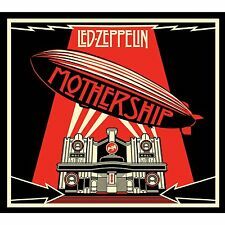 Led Zeppelin - Remasters - CD. Condition is Like New. Dispatched with Royal Mail 2nd Class Large Letter. A copy of the Yes album, Going for the One. Condition: Very Good. 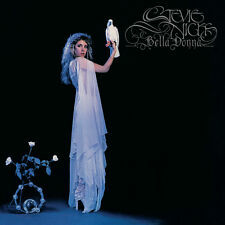 Digitally remastered by George Marino at Sterling Sound. Other reference: LC 0121/CA 835. All dvds unless otherwise stated, are REGION TWO. In the unlikely event there is a problem with your item we are always happy to investigate and resolve issues. PRESENCE 2015 REMASTERED CD ALBUM (SINGLE DISC). LED ZEPPELIN. 11 track cd album in vgc. Buy from an honest reliable seller swift delivery and great communication. CDs are in excellent, hardly played since bought new. (Crosby, Stills, Nash and Young - Deja Vu. Digitally Remastered from Original Tapes. New Sealed CD. 100% Original Product. Everybody I Love You. a) Whiskey Boot Hill, b) Down, Down, Down, c) "Country Girl" (I Think You're Pretty). ARETHA FRANKLIN. THE QUEEN OF SOUL. GREATEST HITS. Baby I Love You. Son Of A Preacher Man. I Never Loved A Man (The Way I Love You). Do Right Woman, Do Right Man. Son Of A Preacher Man (with The Royal Philharmonic Orchestra). HERE WE HAVE A 1997 CD ALBUM RELEASE FROM JEWEL, WHICH IS ENTITLED " PIECES OF YOU ". PIECES OF YOU. NEAR YOU ALWAYS. I'M SENSITIVE. THE RITUAL. The Ritual. 100% ORIGINAL PRODUCT. As The Seasons Grey. The Sermon. Signs Of Chaos. CD is in very good condition. Case is in good condition. HERE WE HAVE A 1998 CD ALBUM RELEASE FROM JEWEL, WHICH IS ENTITLED " SPIRIT ". ABSENCE OF FEAR. LIFE UNCOMMON. DOWN SO LONG. ENTER FROM THE EAST. 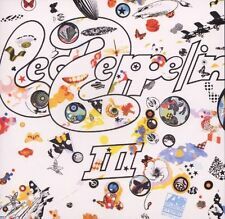 Led Zeppelin - III - CD -. Made in Germany -. CD, CASE AND. Label: ATLANTIC. Title: YES ALBUM. Country: GERMANY. Artist: YES. Excerpts From "The Six Wives Of Henry VIII". I've Seen All Good People: Your Move/All Good People. Yours Is No Disgrace. Long Distance Runaround/The Fish (Schindleria Praematurus). Perpetual Change. Yes : The Yes Album: Remastered CD (1994)Title: The Yes Album: Remastered Artist: Yes Genre: Rock/Pop|Progressive Duration: 41.20 mins Format: CD / Album Type: CD No. 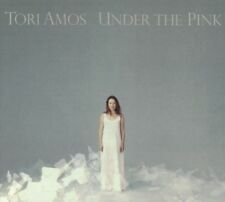 of Discs: 1 disc(s) Studio / Label: Atlantic UK Release Date: 22 Aug 1994. Led Zeppelin very best of early & latter days 2 cd set. Condition is Very Good. Dispatched with Royal Mail 2nd Class Large Letter. Led Zeppelin - Led Zeppelin II (WPCR-11612). 2003 Remastered Japanese CD In Replica Mini Gatefold Card LP Sleeve. This CD Is In Mint Condition . Rest Of World - £3.00 and £1.50 For Each Extra Item. 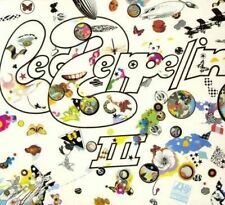 Led Zeppelin - Led Zeppelin II. 1994 Atlantic Remastered CD Album. Pictures shown are of the actual CD for sale. Disc:- EXCELLENT/MINT! Up for grabs is this digitally remastered CD by Bette Midler. On the Atlantic label, the catalogue number is 82785-2. Delta Dawn. Don't forget to. Do You Want To Dance. NEW AND UNPLAYED (NOT SEALED). 2008 Shm Remastered Japanese CD In Replica Mini Gatefold Card LP Sleeve. Led Zeppelin - Houses Of The Holy (WPCR-13134). This CD Is In Mint Condition . Over The Hills And Far Away. Rest Of World - £3.00 and £1.50 For Each Extra Item. (Everybody I Love You. A) Whiskey Boot Hill, B) Down, Down, Down, C) "Country Girl" (I Think You're Pretty). Country Girl.